French national public broadcaster France Télévisions, Brazil TV and Pay-TV market leaders Globo and Globosat, and Norway’s largest commercial television broadcaster TV2 tapped deltatre to power their digital coverage for the Rio 2016 Olympics. 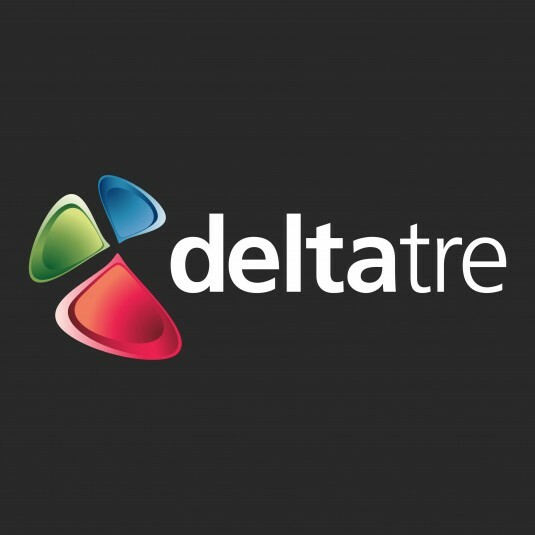 In addition, Radio Televisión Española (RTVE), Scandinavian broadcaster Viasat, and Canadian rightsholder CBC also utilized delatre for their digital coverage. French national public broadcaster France Televisions’ (FTV) selected deltatre to supply its responsive Rio 2016 Olympic Games website, smartphone and tablet apps – providing fans with an unprecedented live experience, across 48 different live streams. FTV’s responsive platform, rio2016.francetvsport.fr, is built on a sport-specific website solution, used to supply live video, live results and real time editorial content through a live blog, built specifically to deal with the demands of the high-pressure, high-traffic Olympic Games. FTV’s mobile application complements the website and includes live and on-demand video and exclusive storytelling – ensuring a great experience and seamless transition between desktop and mobile for fans on the go. After 10 days of Olympics (on Monday, 15th), the total amount of video viewed was more than 84 million on France Télévisions’ s website, mobile apps and social networks (Facebook, Youtube, Snapchat and Instagram). Moreover, more than 160 million of minutes were streamed live on France Télévisions’ s digital platform. The visits (20 million after 10 days) have increased by 37% compared to London 2012. Besides, France Télévisions’ s dedicated Olympics apps on iOS and Android have been downloaded more than 700K times. Brazil TV and Pay-TV market leaders Globo and Globosat selected global sports media services company deltatre to step up their Olympic digital coverage across different devices. Under the deal, deltatre provided Globo with the release of a new mobile App and a suite of media solutions to power the Games desktop website (olimpiadas.globoesporte.globo.com). “This was the first ever Olympic Games in our country, so it was essential for us to deliver a fantastic experience to fans throughout Brazil. At Globo and Globosat we are always looking to offer a more connected experience, which is particularly crucial during such a rich and complex event as the Olympic Games. deltatre proved to be the right partner for Globo and Globosat; their impressive level of expertise with the Olympic Games and its broadcasters helped us to bring great value to our entire community” – said Gustavo Ramos, Head of Digital Platforms at Globosat. Looking to make the experience more immersive for viewers, Globo’s video workflow integrated with deltatre’s results site; seamlessly collating video to web content, and providing a holistic approach across all platforms to give Globo audiences in Brazil an exciting sense of live. Globo also selected deltatre’s Pocket mobile solution – integrating in Globo’s proprietary video platform – to bring fans a dedicated Rio 2016 mobile app with live results and live video. Adding to its portfolio of Olympic work that started with Beijing 2008, deltatre also supplied Globo with Diva Everywhere; a service which integrated with Globo’s video platform to enrich the coverage with synchronised data overlays. Moreover, the Globo Olympics portal included deltatre’s Forge web solution, bringing rich live statistics and results to its audience as the action unfolded. “We have been working with Globo Media Group since 2010 and are thrilled to have assisted Globo and Globosat on this exciting project. Together we delivered the Olympic Games on multiple devices across Brazil, and amplified the connection within the Globo digital community,” said Carlo De Marchis, Chief Product and Marketing Officer at deltatre. Norway’s largest commercial television broadcaster TV 2 has entrusted their digital coverage of Rio 2016 Olympic Games to global sport media services firm deltatre. The responsive website has been designed and developed to bring fans real-time results and live editorial coverage from all the 306 events unfolding in Rio. “We aim to make sports engaging; we are delighted that, with the help of our partner deltatre – and their great tradition in sports innovation – we are in an excellent position to offer cutting-edge digital sport services to our audiences during the biggest multisport event in the world,” said Christine Espeland, Head of Olympic Operations at TV 2. With the build of TV 2’s Olympic website, deltatre is also providing the Norwegian broadcaster with its innovative, real-time sport storytelling tool LiveBlogging – delivering audiences additional instant, live sporting coverage rich in editorial features. “Fans need a great digital coverage to fully experience the excitement of the Olympic Games more than for any other sport event. We’re very happy to work with TV 2 for the second time on their Olympic Games digital coverage. Using our sport-specific CMS included in our Forge website solution, we are able to bring fans closer to the action and keep them constantly up to date,” said Andrea Marini, Commercial Director (International Markets) at deltatre. Radio Televisión Española (RTVE) and Scandinavian broadcaster Viasat also appointed deltatre to power their Olympic digital coverage. deltatre also powered cbc.ca/Olympics, CBC’s hub for Rio 2016 news and video, providing a video player with DVR controls.